About eight hours ago, according to the thermometre nailed to the wall of this taverna, the temperature was 40 degrees C. The chilled Amstel beer was considerably cooler. At that time of the day, anything sensible retreats from the heat. Natives disappear indoors, local dogs drop to the floor at the first available shade and the profusion of stray cats sleep under oleander and cyclamen. Vassos, the owner of this taverna, is a huge man that manages to skillfully stay just this side of caricature. The internet, he claims, is bloody silly and only installed the thing as his daughter insisted that it would be good for buisiness. Bloody silly people wasting time. Bloody good business. When asked what was good on the lunch menu, he threw his arms wide and feigned good-natured indignation. Everything on my menu is bloody good. The mezes of Afelia, Koupepia, Humus and Souvlakia were, indeed bloody good, as were the figs, peaches and apples that followed. Returning now to a more bearable 28 degrees C and settling in front of the computer with another cold beer and a two Euro coin prompted a smile from Vassos. Bloody silly, bloody good business. Across the road and further down toward the harbour, an Irish theme pub is screening football matches. Corpulant Englishmen in replica football shirts are shouting at the television. Manchester United have been beaten by Arsenal. Ignoring the oooh`s and aaah`s and the swearing, the sun went down sharing an Ouza with Vassos. Now, with 10 minutes left of internet connectivity, it`s off to the market to pick up some fresh bread, tomatoes, cucumber, feta and olives for tonight`s tea. On such a lazy Sunday, should there be thoughts of home? Don`t be bloody silly. There comes a time when even the most bad tempered, rude and irascible curmudgeon needs to take some time off. So, after packing trunks and sun block, the hippo is going on holiday. With the Turkish air force bombing Iraqi Kurds, the Israeli air force bombing Gaza, Syria in flames, the future of Egypt still uncertain and a full scale civil war in Libya, now may not be the best time to visit the eastern Mediterranean. However, the prospect of warm, white sand between the toes and a hot sun beating down on a balding pate are reasons enough to take a four hour flight into the Levant where violent revolution coupled with the systematic oppression of minorities make the breathtaking sunsets even more poignant. Hey, call it globalisation and set the doors to manual. An island of peace and tranquillity, albeit divided by a disputed border between Islam and Christendom and surrounded by a sea of turmoil, is probably a safer prospect than dear old blighty at the moment. With English children rioting and looting, the “vast majority” of decent, hard-working people calling for hanging, flogging, national service and all manner of blood curdling retribution and a government considering area curfews and curtailing the internet, Westminster now seems to have a draconian attitude more in common with Damascus, Tripoli or Tehran. With prisons overflowing, the judiciary under government instruction, has thrown sentencing guidelines out of the window. 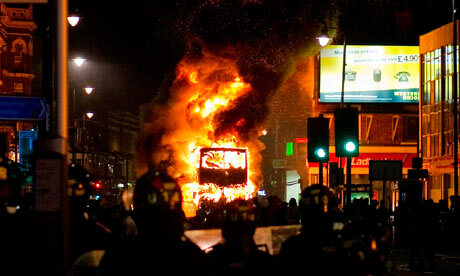 A boy is subject to a curfew and is banned from accessing the internet for posting “Come on rioters, LOL” on Facebook. Two men are jailed for four years for using social media to encourage social disorder as a protest against the government and a man is sentenced to six months porridge for looting a £3.50 bottle of water. At £3.50 for water, one wonders if an earlier crime had been committed by the retailer. The “vast majority” of decent, hard-working people, who probably supported the popular uprisings in Tunisia, Egypt and now Syria, may hark back to the days when stealing a loaf of bread resulted in transportation and may secretly envy the justice of chopping off the hands of thieves. 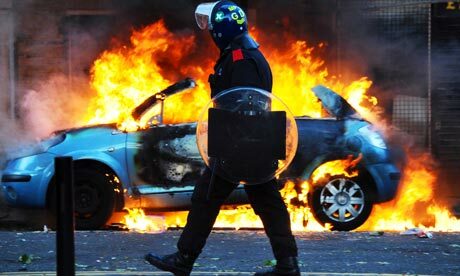 Cameron and his chums who, and this has to stressed yet again, did not win an election, are delighted at the social unrest. Having spectacularly failed to emulate Thatcher’s Falkland adventure by screwing up in Libya, some homies helping themselves to trainers, Panasonics and Evian has proved to be a Godsend. Under cover of addressing the issues that caused the trouble, hug-a-hoodie Dave will now set about evicting the poor, stopping benefits and excluding children from school backed by the public opinion of the “vast majority” of decent, hard-working people. In the Balkans, they called this process ethnic cleansing. With the packing done, the currency bought and the insurance against any eventuality except acts of God or governments in place, we leave for a location that saw Aphrodite rise from the sea in a shell. After what has happened during the last 15 months in England, one wonders if they take in political refugees in Beirut. If not, then the bad tempered, rude and irascible curmudgeon will return in two weeks. Who would have thought that a quiet, peaceful town like Walsall should harbour a plethora of bloggers gifted in second sight, clairvoyance and the dark ability of predicting the future? In past times, these Mediums would have been burnt at the stake for practising witchcraft. On Monday, after returning from a lovely weekend walking the high places of the Yorkshire moors, it became necessary to transport a younger hippo to a gathering of hooligans in Aldridge. Without the use of a motor car, the journey had to be undertaken using public transport. Quite why we had to throw ourselves at the mercy of Centro is a long and complicated tale that might be best left for another day. Undaunted, we plodded to the bus stop near Morrisons on Lichfield Street to await the arrival of the number six, seven or seven A which would whisk us to the birthday bash in distant Aldridge. Checking the timetable, we would only have to wait seven minutes for the number six. The time was 2-15pm. Looking back towards the Arboretum, the junction appeared to be in soft focus, as if God had decided to change the lighting to make the death trap seem less dangerous. The small hippo, blessed with more youthful olfactory senses, said he could smell burning and sure enough, the arrival of the number six coincided with the arrival of a fire engine. As the bus approached the dreaded junction, the smoke grew thicker and more appliances arrived. The time was 2-22pm. Once cleared of the junction, we looked back to see an unmarked car with “discreet” blue flashing lights take a position to close the roads as the smoke turned to black. Within 10 minutes we had arrived at the bun fight and the small hippo joined the other eleven-year-olds trashing what was previously an immaculate garden. After the usual exchanges regarding food allergies, mobile phone numbers and collection times, it was back on the bus to Walsall, leaving the unfortunate host to deal with the mayhem. Appropriately enough, the returning number six terminated at the almost demolished Mellish Road church with police cars and tape blocking the approach to Walsall. The helicopter was overhead and the pall of smoke indicated something very serious. Drivers of cars and trucks unfamiliar with the area headed off down Buchanan Road to an inevitable dead end whilst others sought sanctuary in the direction of Rushall. We bus passengers disembarked and headed down the hill towards the conflagration to be greeted by a police officer shouting that we should go into the Arboretum. With wind milling arms she shooed us away like crows from a ripe field of corn. At the main gate, it was clear that Jabez Cliff was well alight. The roof and upper floors were an inferno and the brigade was losing the battle. An appliance pumped water from Hatherton Lake and when the roof collapsed, a police officer told the gathering onlookers to leave the Arboretum because of the danger of falling hot ash. By 3-30pm, Jabez Cliff had gone. The really spooky thing is the fact that these momentous events were predicted in advance by the warlocks and witches of Walsall who inhabit the internet. Many have given dark forebodings of fire and brimstone to be visited on buildings of cultural value, especially those that occupy a “prime” site or are in the way of some ghastly and unnecessary commercial development. Indeed, in August 2010, when the Jabez Cliff building was sold to yet another mysterious and anonymous consortium of “local businessmen”, soothsayer-in-chief The Stymaster handed down a prophesy of destruction that proved to be chillingly accurate. Walsall Council, particularly the Planning Committee, might now be considering the reintroduction of ducking stools to weed out these dark occultists. There is, however, no need to resort to the black arts to predict the future of Walsall. Runes, tea leaves, chicken guts and crystal balls are not required to read the tiny minds of those that run this town. The smell of regeneration is the smell of unleaded four star and urban planning is carried out using the Swan Vestas method. There is, of course, absolutely no suggestion that members of the Planning Committee are running around committing arson, but their failure to hold mysterious local businessmen to account for the security and upkeep of any empty building, even those with little or no historical value, is a dereliction of civic responsibility. The owners and landlords of these properties seem content to allow Walsall’s heritage to rot and welcome the visitations of fire starters in safe anonymity. Land is lucrative, history has no fiscal value. It’s not just old buildings that irresponsible owners and co-owners ignore. Imagine the co-owner of an empty carpet warehouse allowing his property to be used to cultivate cannabis on an industrial scale without monitoring his tenants. Unthinkable. The Planning Committee should take action against these slack landlords. Oh…yeah…right…of course. Some might say that Walsall Council has suffered some rather coincidental bad luck with unexplained arson attacks against old buildings. The fate of Shannon’s Mill, Mellish Road Church, Great Barr Hall and the former St Margaret’s Hospital as well as numerous empty pubs across the borough suggests that the arsonists have detailed knowledge of planning applications, regeneration strategy, “the forward plan” and which buildings are in the way of making a fast buck. Clever chaps, these arsonists. Cabinet’s response to this is always consistent. Yesterday’s “icons of Walsall’s heritage” become today’s “eyesores” and we should be grateful to see the back of them in order to make way for tomorrow’s poorly designed, poorly built monstrosities destined to remain forever empty. They claim to be powerless against errant landlords and developers and accuse any dissenting voice of deterring inward investment. The cause of the Jabez Cliff fire is, as yet, unknown. But even before the flames had been extinguished, one local councillor suggested on Twitter that the blaze was started by junkies setting a fire to keep warm on a sunny August afternoon. With a council refusing to name and shame the owners of burnt out buildings and keeping quiet about potential connections between “local businessmen” and members of the Planning Committee, we can expect more of this guff in the future as well as more unfortunate yet convenient fires. Next time, the covens of warlocks and witches will be watching. When he finally arrived home from the boy’s own birthday party in Aldridge, the younger hippo reported that he felt sick due to greedy over consumption. He is not the only one who feels sick. In an unsure and frightened society, how reassuring to know that our MPs have been dragged back from their holidays to sort out the mess. Sadly, though, the backing track to the summer of 2011 will not be “I predict a riot”, but “I predict a platitude”. The debate in the Commons on Thursday rapidly descended into some perverse competition between slobbering MPs desperately trying to out-do each other in condemning the savagery relayed to them via satellite link to villas and second homes from Tuscany to the Rocky Mountains. Like a mob baying for blood, they goaded each other into uttering increasingly puerile statements with all the aplomb of looters attempting to break into a pound shop. The outrage was cranked up to such an extent that it seemed that some of the less continent members might actually turn themselves inside out with fury. The rationale seemed to be that unless everyone shared in calls for vengeance with extreme prejudice only just stopping short of hanging, drawing and quartering, such weakness is tantamount to defending rioters. There were lots of bulging eyes and veins standing proud on necks. At the centre of this unrest was our leader, David Cameron, a man who before the election and his assumption to power, described Britain as “broken”. After 15 months in charge of the glue and the gaffa tape, perhaps the PM looked down at the fires of London as the aircraft returning him from his curtailed holiday descended through the night sky into RAF Northolt. One wonders if he is proud of his achievements. 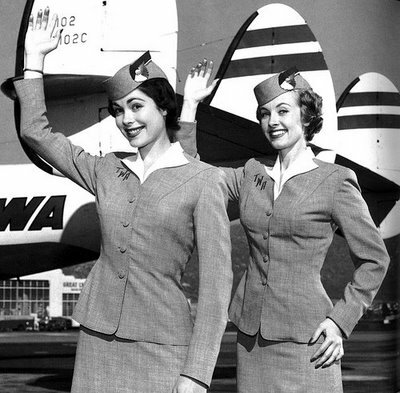 At the arrivals gate, he and his fellow coalition masterminds had their voice microchips reprogrammed with the words “criminality, thuggery, mindless and robust” to be automatically generated whenever a lip movement is detected. Never one to disappoint, Cameron stood at the dispatch box and led with “mindless criminality”, quickly followed by “thuggery” and then talk of “robust” policing. He spoke of elements within society that demand “rights” but refuse to take “responsibility”. His motivation is obvious. Criminality places a convenient distance between his government’s failure and the unacceptable disorder. He and his clones and underlings claim that the carnage is nothing to do with political protest. This strategy might get him through the coming weeks but it is a very dangerous game to play. If the widespread criminality that saw cities burning, the nation terrified and people losing their lives is not a protest against coalition policies, then he has to face the fact that his government presides over a criminal underclass that is capable of bringing the country to the brink of anarchy. Hardly a glowing testimony for re-election. It is true that the looters and rioters carried no banners, wore no lapel badges and chanted no chants – that was the preserve of students and school children who had the crap beaten out of them in December. But the lack of political engagement by mindless thugs is a political act in itself and MPs, having by and large got away with fiddling expenses, will ignore this disaffection at their peril. The rioters might not care for politics, but politics is driving them f**king mental. What we witnessed was a catastrophic break-down of law and order and a chain reaction of violence that occurs when a mob gets out of control. How swiftly the veneer of civilisation is stripped away. Not to ask why or how those conditions came about is an abrogation of responsibility worthy of a dysfunctional, booze-addled absent father. Cameron, after a bit more stuff about “responsibility” went on to blame parents, schools and, with the caveat “this is not a criticism”, criticised the police. Like Falstaff, the Prime Minister understands that “the better part of valour is discretion” and made no mention of cuts to family tax credits, the cancellation of BSF, EMA and an unaffordable rise in university tuition fees or the reduction of front line police officers. Taking the responsibility of power by the horns, he suggested that local authorities could evict convicted rioters, stop their benefits and exclude feral children from schools. Chief Constables, already criticised, should set the level of policing to deter disorder. Me, I’m just Prime Minister, what do I know? The hippo might be a bit dim, but the notion of forcing drug and alcohol addicted criminals out onto the streets, stopping any income and kicking their uncontrollable kids out of school is not exactly a recipe for a harmonious community. Cameron made no reference either to the decision by Haringey Council who, due to coalition government funding being withdrawn, closed eight out of 13 youth centres. Tottenham, in case you needed reminding, is in Haringey and is where the “mindless, thuggery, criminality, thuggery, mindless” began. He did mention Mark Duggan, though, which must be a comfort to the dead man’s family. Strangely, Her Majesty`s Loyal Opposition did not, for the most part, take the coalition to task over its woeful stewardship of the nation. Before the debate, Hazel Blears, a Labour MP for “riot devastated” Salford demanded to know why looting children were not at school. The former solicitor working for Manchester City Council’s education department did not seem to know that it is August and the looting took place after the 3-00pm bell. Fortunately for her, the Met and the CPS found no evidence of her fiddling money from the public purse way back in 2009. The PM went on to reassure victims on measures for adequate compensation but was rather vague when questioned if the payments would come from already slashed police budgets or from the treasury reserve. Whoever coughs up, it gives Gorgeous George Osborne another excuse for economic stagnation brought about by his complete incompetence. At this point, Cameron’s vocal chip malfunctioned and he reverted to the version one programme and droned about “inherited deficit from the party opposite”. Switching him off and then on again resolved the glitch and he set about the evils of social media. Even as the Prime Minister spoke of the sinister use of social media in organising disorder, a Tory MP on the front bench who resembled Ivy Tilsley from Coronation Street was entering data onto her mobile phone. A few seats along, Liberal Democrat Simon Hughes, the very definition of hypocrisy, could be seen fiddling with his own hand held device. His party leader, Nick “If the Tories are elected there will be rioting in the streets” Clegg, who at 16 was found guilty of cactus arson, should really take his MPs in hand and tell them that onanism should always remain a solitary vice. Then came the endless calls for retribution. Plastic bullets, water canon, indelible dye, Wembley Stadium as an internment camp, the army on the streets, the return of the death penalty and the shrill expressions of outrage and indignation that became farcical. Any carbon based life form with a brain the size of an amoeba will, of course, utterly condemn the violence and lawlessness perpetrated on our streets. But only those in possession of a brain the size of an amoeba would howl with contempt and shout down those who seek to find reasons why this horror took place. How swiftly the veneer of civilisation is stripped away. It wasn’t just our wonderful MPs who, returning from holiday at the tax payers expense, expressed such lynch-mob anger. Hard-working, law-abiding, thoroughly decent users of the now discredited social media vented “mindless, thuggery, criminality, thuggery, mindless” with some suggesting shooting children dead. How swiftly the veneer of civilisation is stripped away. It now seems that some semblance of order and normality has returned thanks to a massive police presence on the streets and the sterling work done locally by the likes of Mark Payne and Richard Stanley who used the evil social media to dispel ridiculous rumours and reassured the public that the sky wasn’t falling. This, however, cannot be sustained with cuts to the police and the bright idea of shutting down the internet in times of crisis. If this sounds strangely familiar, consider Egypt, Tunisia, Syria and China. The nation has been frightened by its children and frightened by what we have allowed them to become. More terrifying is the sight of coalition MPs donkey braying “hear hear” to a proposal to do away with human rights legislation, talk of curfews, curtailment of free speech, baton rounds and vengeance, an opposition happy to acquiesce and vitriolic attacks at any attempt at rationality. The only difference between the Bullingdon Club and JB Sport is the ability of mummy and daddy to pay for any damage. How swiftly the veneer of civilisation is stripped away. You have to feel a little bit of sympathy for poor old Henry IV. Wanting to get into God’s good books by joining the Crusades and taking Jerusalem for Christendom, he found himself stymied by Scottish and Welsh rebellions and the bad behaviour of a wayward son. Henry IV Part 1, Act 1, Scene 1 – William Shakespeare. Parents in London, Birmingham, Manchester, Liverpool, Wolverhampton and West Bromwich will undoubtedly be able to relate to Bolingbroke`s disappointment with errant children. Henry Percy, so admired by the King, was better known as Harry Hotspur and, as every football fan knows, gave his name to the football club that presently plays at White Hart Lane in the London Borough of Haringey. The association with a 14th century Geordie nobleman and a north London football team is due to the Percy family owning most of the land that is now Hornsey, Wood Green, Highgate, Muswell Hill, Crouch End and Tottenham. It would seem that the impulsive, hot-headed violent tradition of Hotspur is alive and well along the Tottenham High Road, Jarrow Road, Tynemouth Road, the Northumberland Park estate as well as the countless burnt out properties across this sceptred isle. The circumstances surrounding the death of Mark Duggan are still unclear, but what is certain is that he was dispatched with a bullet fired from the gun of a specialist firearms officer working on Operation Trident, the unit that targets gun crime in the Afro-Caribbean community. Initial police reports stated that officers came under fire from the back of a mini-cab and so, justifiable, returned fire and killed the assailant. Witnesses, however, claim that the cab was stopped and Mr Duggan was dragged from the vehicle, forced to the ground and then shot dead. The fundamental problem in all of this is who to believe. The Metropolitan Police, who are charged with maintaining law and order and the protection of the public, or members of the public who saw what happened. In a nation that was once described as “normal”, we would, of course, accept the police version of events as gospel. After all, the police are there to protect us and anyone that challenges police actions must be working to a sinister agenda. However, the Independent Police Complaints Commission have let it be know that Mr Duggan did not fire at the police and that the bullet found lodged in a police officers radio, thereby saving the constable’s life, was probably fired from a police issue Heckler and Koch MP5. The use of a “jacketed round”, or “dum dum” bullet, is illegal except for the execution of deer or “other vermin”. The inquest into the death of Mark Duggan has been adjourned for four months. A peaceful protest demanding answers to some serious questions facing the Met was met with a line of implacably silent police officers in riot gear. Again it is difficult to know what to believe. Did the 16-year-old girl simply ask a question or did she throw a rock? We will probably never know what actually took place, but it would appear that sweet Fortune’s minion sparked the disorder. It seems that the girl was beaten with batons and arrested. So, who should we believe? We should, of course, trust the police, but having unfortunately lost its Commissioner and Assistant Commissioner through resignations over the minor matter of systemic corruption and the failure to investigate phone hacking, the Met is content to wait for the outcomes of various investigations before revealing its true colours. Following the deaths of Ian Tomlinson, Jean Charles de Menezes and, perhaps more importantly, Smiley Culture, the Met continues to enjoy the trust of the citizens it has a duty to protect. Or maybe not. “We now go live to the streets of Tottenham. John, Tottenham has a history of racial violence, doesn’t it?” Given this level of meaningful analysis, breaking news rapidly became a broken camera. The following night, as the disturbances spread, BBC News 24, taking the advice of Falstaff in Henry IV, decided that “the better part of valour is discretion” and ran programmes about gadgets, the forthcoming Olympics and then switched its News 24 broadcast to a studio in Singapore to report on the far eastern stock market openings in reaction to the US having its battery size downgraded to AA. John, our BBC man on the ground in Tottenham, is still searching for his broken glasses. Trouble, like cheap margarine, spread. Other London boroughs went up in flames and the madness visited other cities as violent looting went unchecked by a stretched police service. By Tuesday afternoon, the images of wanton destruction led to a sense of real fear and trepidation as the evening approached. Even in peaceful Walsall, the only topic of conversation seemed to be the approach of night. In a supermarket, a Molotov`s throw from the Civic Centre, people were stocking up on basics as if a nuclear winter was about to descend and the usually cheery check-out lady looked concerned. “Have you been in the town centre? Has it started yet?” she asked. Mercifully, and thanks to an impressive police presence, Walsall enjoyed a safe and quiet night free from even the usual lawlessness. However, Manchester and Birmingham, particularly Winson Green, were not so fortunate and deaths occurred. This has now gone beyond trainers and plasma screens. Henry IV and his wayward son who eventually gave up being bad to become Henry V and to rally his dispirited and outnumbered troops to victory at Agincourt, are now history. The circumstances that have led us to this current crisis of confidence, trust and basic humanity are similarly veiled in conjecture, interpretation and ignorance. What is important is the present and, more crucially, the future. If we are spared, stay tuned for Part Two.